While many businesses are beginning to ONLY accept plastic as a means of payment, there are still some companies that do not accept all types of credit cards for one reason or another. For example, most airlines only accept credit cards for in-flight purchases nowadays, but some big-box stores don’t even accept major forms of payment, such as Visa or American Express. Let’s take a look at some of the big box stores’ specific policies to avoid any unwanted surprises at checkout. Costco is a funny company. Not funny “ha-ha,” but funny in that they ONLY accept American Express credit cards in-store. Typically, American Express credit cards are the one type of credit card merchants DO NOT accept, namely because the interchange fees are the most expensive. But Costco refers to American Express as “the preferred credit card of Costco,” and because of that relationship they are able to negotiate the lowest transaction fees available, which keeps costs down for shoppers. To that end, Costco only accepts American Express credit cards, including the True Earnings Card from Costco and American Express, along with all other Amex cards. But they also accept cash, checks, most ATM and debit cards, EBT, and Costco Cash Cards. Just note that cash, checks, and EBT may not be used at Costco gas stations. Tip: You can use every type of credit card at the Costco.com website, including Discover, MasterCard, and Visa, but no longer American Express. And you can even buy Costco Cash Cards online, so this is one way around the Visa exclusivity agreement. However, you cannot use EBT at Costco.com. UPDATE: Beginning on June 20th, 2016, only Visa credit cards will be accepted at Costco. The new Citi Costco credit card is one option you can use that will also earn cash back. The Amex Costco card from Amex is being phased out entirely and will be void after June 19th, 2016. Walmart, another big-box retailer, is a lot more lenient when it comes to payment options, perhaps because they don’t charge for or require membership. Q: Does Walmart accept American Express? A: You can use any type of major credit card in-store, including American Express, Discover, MasterCard, Visa, and Walmart Credit. You can also use a Walmart MoneyCard, Walmart gift cards, ATM cards, debit cards, cash, or checks. So there are really no payment restrictions to worry about. 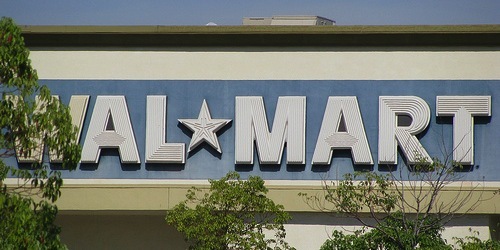 Tip: In a bizarre twist, Walmart shoppers can actually order items online via their website and pay with CASH in-store. This may seem somewhat backwards, but not all Walmart shoppers carry credit cards for one reason or another. You can use Amex, Discover, MasterCard, Visa, etc. Finally, let’s review the payment policies of another mega retailer, Sam’s Club. On October 1st, 2015, Sam’s Club began accepting American Express cards in their stores, which was a big deal for some I’m sure. Like Costco, Sam’s Club charges a membership fee and had some limited payment options when it came to credit cards. But that’s not the case any longer. For in-store purchases, members can pay with American Express, Discover, MasterCard, Visa, or Sam’s Club Credit. In the past, Sam’s Club didn’t accept American Express or Visa credit cards for in-store purchases. If shopping at SamsClub.com, you can use all major credit cards, including Amex, Discover, MasterCard, and Visa. Interestingly, SamsClub.com also offers the option to pay by check, which is rather strange. Note: Sam’s Club and Walmart also accept each other’s private-label credit cards in-store (cross acceptance). Other big retailers such as Amazon and Best Buy don’t have any restrictions on the type of credit cards accepted, and even allow Diner’s Club cards! Thanks for this. Fortunately I have all major credit cards in my wallet for each occasion, so it’s not an issue. I don’t get why Costco only accepts American Express in stores, but all cards online. What’s the difference? It could be that the prices in Costco warehouse stores are lower than what you’d find online, so in order to keep costs low (and margins intact), they only allow members to use Amex cards. I find it ironic that Costco only accepts American Express, the credit card with the most expensive interchange fees that isn’t even accepted by many other merchants. So basically I need an Amex card to shop at Costco, but other merchants won’t even accept it. Hmm. When will American Express release its stranglehold on Costco members? I don’t carry an American Express card and don’t plan to, but I want to use my credit card there for goodness sake! Probably no time soon as it’s a big win for both companies. Has American Express always been the only credit card Costco accepted? I believe that since they began accepting credit cards, it has only been Amex, yes. I heard Costco in Canada no longer accepts Amex. What gives? Yep, their contract ended and Costco went with MasterCard and Capital One instead. I doubt it’ll translate to the U.S., but anything is possible. FYI: Costco won’t accept American Express cards after March 31st, 2016. Instead you’ll have to use Citi/Visa credit cards. Soon Costco switches from American Express to Citi/Visa.